The 2019 Edition is now available from Jerry Colman, please contact him at the details below for further information or if you want to order a copy. 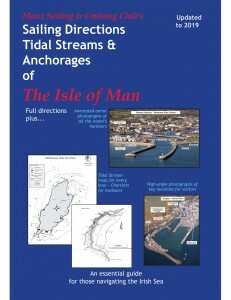 The new “Sailing Directions, Tidal Streams & Anchorages of the Isle of Man”, has been transformed by the Manx Sailing and Cruising club, through the courtesy of Pelagos Yachts of Ramsey and Xerox IOM (2009 edition), from a simple black and white hand-drawn edition to a full colour book with spectacular aerial photographs of every harbour in the island. The Directions celebrate what island sailors, both recreational and working, have always known – the Isle of Man is great place for coastal sailing with some wonderful harbours and anchorages. The revision, re-publication and update of the Directions serves to promote sailing and boating on the island, alongside continuing improvements, such as those at Douglas and Peel, bringing welcome visitors and increased tourism. The directions are a heavy-duty, spiral bound, plastic covered book specially designed for use on-board. Copies are available now from the Publications Secretary, Jerry Colman – email: jerry.colman@manxbroadband.com. Price of the 2019 edition is £41.95 (including post & packaging). Manx Marine Ltd. (Douglas Harbour Marina) have copies in stock. 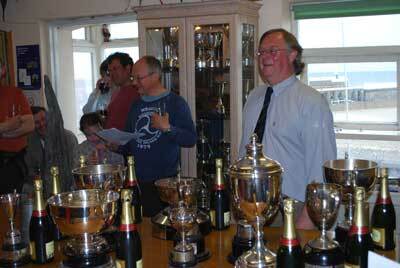 Their contact details are: MANX MARINE LTD, The Tongue Building, The Tongue, Douglas Harbour, Douglas, Isle Of Man. IM1 5AQ. Telephone/Fax (+44) 01624 674842.